Koh Nang Yuan is an island by Koh Tao that will simply take your breath away. There are paradise islands, and then there is Nang Yuan the little island is actually made up of three pieces of land and which are connected by a huge sandbar. It’s a place where postcard pictures are taken, and where people dream about when life is tough. Koh Nang Yuan is owned by a local business and visitors can expect to be charged a 100 Baht entrance to get on the island. The small fee goes a long way in keeping the island in pristine condition, in fact guests are asked not to bring plastic onto the island instead all drinking water is served in reusable glass. It is such a refreshing change to see people really care about the environment, in such a positive way. 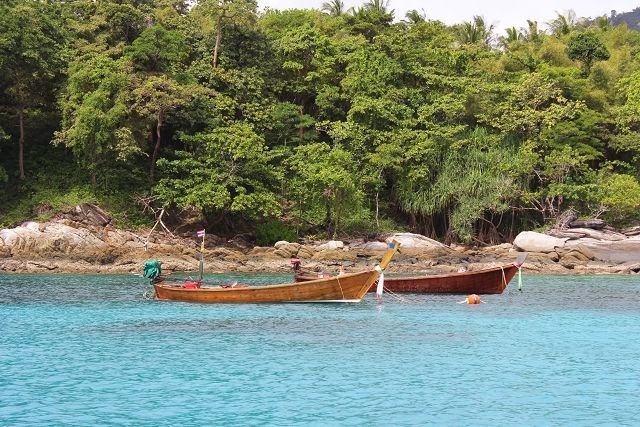 Koh Nang Yuan is about a 10 minute journey from the west side of Koh Tao. There are speed boat tours available as well as the large ferry company offering a package day trip but you will be surrounded by literally hundreds of others, it may be cheap and cheerful if that is what you like. The island host a small resort, which has excellent accommodations and the staff are just so friendly and helpful, you will not want to leave this idyllic tiny little piece of paradise. There really is not much to do on Nang Yuan other than explore the island itself sunbath or go scuba diving, there is a small dive centre located right on the island. There is just one restaurant on the island and only one small beach bar. Remember that is is on a small island and most things purchased here will be a little more pricey than the main island. Then again you get what you pay for and the prices tend to keep any strays island beer bar flies away. The menu is not so extensive but the food is of high quality. The beach bar is, unsurprisingly, located on the beach and is on the expensive side too. 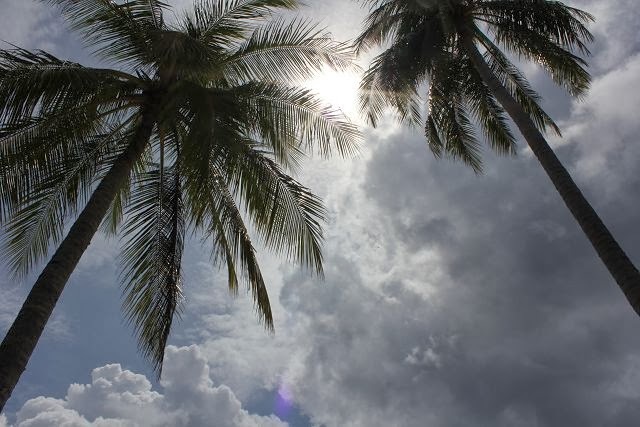 Depending on which time of the month you decide to go will dictate how much or how little of a beach you will have to lie on the beach can be a tiny lace of sand racked with sun loving bodies, or a wide, uninhabited stretch of paradise. Amazingly, it remains beautiful either way. Words are hard to find when trying to describe the snorkeling on Koh Nang Yuan as simply put, it is one of the best snorkeling spots in Thailand. The shallow reefs surrounding the island are lined with intricate soft and hard corals as well as schools of beautiful coloured Wrasses, fascinating colorful Parrotfish, the Damselfish will try to nibble your toes it’s like a dream. Shelter from the islands means the water is calm and clear. There is also great diving here too and dive boats visit the area regularly the dive sites here are called Twin Peak and Japanese Gardens and lie just off the island and are shallow enough for snorkelers to enjoy too. Snorkeling gear can be rented in the Koh Nang Yuan Resort’s Dive Shop, if you want to try diving or are experienced then this is a great spot.. The island does have a couple of drawbacks like certain times of the year there does tend to be a lot mosquitos and there is obviously a limited supply of water but all this just adds the unique island way of life, if you like island in paradise setting then be prepared to fall in love with Koh NangYuan. There is free transfer from the main pier on Koh Tao, usually by longtail boat, which will bring you directly here. Another great thing to do on the island is take a small trek to the top of the view point where you can get some great panoramic photos to show your friends at home just what you have doing. Be warned though the path is quite steep and it does get hot especially under the midday sun, don’t forget your camera and a bottle of water. Oh course I nearly did not mention that Koh Nang Yuan’s newest attraction is ziplining, oh yes you got it Ziplining. You will be giving a short brief before you take the plunge over the edge. The course consists of two lines that go between the island it is the world’s first island to island zipline, incredible. MV Sai Mai, oh how I dream of days cruising the crystal clear waters of Phuket. When life could be so easy, take me to a place where no one knows me and I can escape the reality of it all, if only for a little while. With the advent of the Mobile phone and media sites, do we ever seem to get any peace or any quiet, we all need downtime, we all need to simply switch off; people can get in contact with us 24/7. The world we live in moves at such a fast pace these days, that we sometimes just do not know whether we are coming, going or if we have already been. Now hold on! Let’s just slow it all down for a minute, just take a moment and take a deep breath. Maybe on a cold dark winter’s day on the way to work, your mind wonders off to a faraway place, where time almost stands still. If you have ever dreamed of exotic islands in the sun, where the skies are always blue, the waters always warm and clear and where beaches of gorgeous white sands are almost left untouched. Then do we have a treat for you! The MV Sai Mai‘s sole mission, is to bring peace and tranquillity into people’s lives. It travels the waters of the Andaman in search of the places that you have only ever held in your dreams, moving at a pace that can only ever bring tranquillity into your life. Sai Mai or Six Knots as she is known affectionately, we call her Six Knots because that is the speed she travels, gently ploughing the locals seas in and around Phuket is the perfect vessel for such days or relaxing. She is perfectly fitted out to accommodate a small group of family and friends, accommodating up to 8 guests all in her luxurious air-con, en-suite cabins or if a day trip is required, then she can easily manage up to 12 guests. Sai Mai is available throughout the year, visiting all the islands around Phuket, such as Phi Phi Islands, Koh Lanta, Taurutao, Phang Nga bay, Krabi, Racha Yai and Racha Noi, Similans, Surin Islands even trips up to Burma are possible, in fact she will go almost anywhere, such is the versatility and flexibility of her schedule. She has three spacious cabins on board, which are all en-suite with running hot and cold water and showers, all cabins have individual controlled Air Conditioning units to. The cabins have TV and DVD players, the large suite cabins on the port and starboard sides both have a double bed and single bed inside, while the double cabin at the front of the boat has bunks beds accommodating two. The food on Sai Mai is second to none; the cook is an expert chef and is always ready to offer cooking lessons to those interested in Thai cuisine. We know that there are many people with different dietary needs. If there is anything you need or like or for that matter do not like, let us know and we will make sure you dine like royalty. Sai Mai was built in the mid-nineties to a very high spec and has be maintained in similar fashion using only the finest Asian hardwoods. When she first started cruising these waters she was exclusively a dive boat, taking divers all the way to Burma and the Mergui Archipelago. Back then she won several awards for being the finest dive vessel in the Andaman Sea, the awards came from the International Diving Association. The way Sai Mai works is like this, you tell us what you would like to do and where you would like to go, whether you want to go only to the best beaches in the area, chilling out on the sands and having barbecues for the week, or you want to dabble into the underwater world of Scuba Diving and Snorkeling or even a mixture of the three e can arrange it for you. All of our staff are highly qualified and very experienced scuba diving instructors, all of whom have worked in the area for years and know every island and dive site. We offer a full range of differing schedules or you can even build your own, we go where you want to go, not the other way around. If you are interested in Scuba diving, we can supply all the necessary equipment and if you would like to complete a dive course on board, this is also possible. This season alone we have seen Several Whale Sharks and about twenty Manta Rays. The marine life in this area will simply take your breath away, what with the large predators like Barracudas, Trevallies, and Tunas and Mackerel’s hunting, all the way down the food chain to the exotic Seahorses and Pipefishes, to the happy go lucky Hawksbill Sea Turtles, it is all there come and explore and see for yourself. The Captain and crew of Sai Mai await you, your family and friends to join them on one of the most beautiful and relaxed boats around Phuket. Six knots will take you wherever you want go, come and join us and see for yourself just what life is really like on the seas around here. There is so much to explore and see and do. No need to get stressed, leave the phone at home and come cruise around the beautiful islands of Thailand and all at only at six knots. See you soon. Have you heard other people rave about the picturesque beaches on Racha Yai but have no idea of how to get there? Have you tried to find out how to get to Racha Yai but had no success? People have mentioned that there are speed boats that make the trip multiple times a day, but you can't find out how to book them? There is no public ferry service to the Racha yai, the only way to get there is in a private speedboat, diving boat or fishing boat. The three hotels on the Island run their own speedboat service, once or twice per day. If you want to make the trip to the island, only 24 km south from Chalong Pier, let us know and we can arrange for a speed boat to this beautiful island. Racha yai Island is just a short trip south of Phuket so is subject to the same weather and seasons. Like Phuket, Racha Yai is a year round destination with temperatures generally staying within the 25-35 C range. November through to April is the dry season with what wind there is coming normally from the North east. 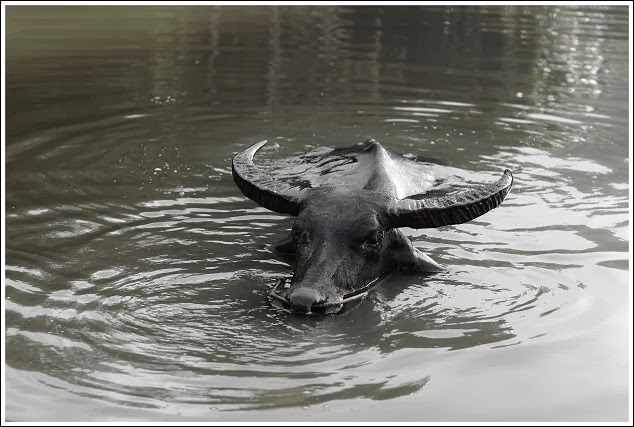 The Monsoon season is May to October, the monsoon winds come from the South West often bringing rain showers with them. As Racha Yai has West, North and East facing beaches there is always a calm, protected beach available. For Scuba Diving around the Island the monsoon season is the best time as the better dive sites are on the east coast and are protected from the wind at this time. The habitable area of the Island is fairly small and unlike some other local islands development has been limited. Raya Island can be divided into four main areas, Batok bay (also known as bungalow bay), Siam bay, East Coast and the centre. Batok Bay is west facing so during the dry season is the arrival point for all people coming to the Island and consequently it is also the busiest of the beaches. Like all all the beaches on Racha Yai this is a beach of fine white coral sand which stretches he whole width of the bay between the two rock and boulder ridges projecting out to sea. Siam Bay is a five minute walk from Batok bay and is North facing, this 900 metre long white sand beach is backed by a coconut grove, the bay itself is huge with long rocky ridges making up the sides of the bay. The western ridge has a bamboo constructed bar hanging from it a little way out from the beach. The centre of the Island was originally where the few locals lived and is now home to two bungalow resorts and restaurants. This is also the home of the Island other industry - Coconuts, the centre parts of the nut are normally sold locally but the husk is exported all over the world to make mats and brushes. Raya Bungalow resort is the oldest set of bungalows on the Island, set on a rocky promontory on the north side of Batok bay these are the bungalows that caused the common English name for this bay. Raya Seaview resort is a small group of Bungalows nestled among the rocks at the western end of Siam beach. Raya Garden Resort and Raya Father Resort are in the centre of the Island next door to each other. The main form of transport on the island is walking, though there is a tractor pulled trailer that crosses the island and with the two new high end resorts on the Island there is a growing number of golf buggies for transporting their customers. For those not wanting to walk motorcycles and ATV's are available for rent and for the more eco-minded and less lazy mountain bikes are also available to rent. 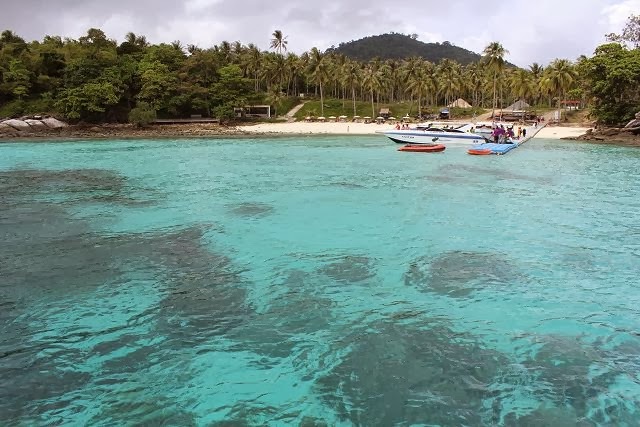 This is a small island, the main activity is on the beaches, there is plenty of good snorkelling places, especially between the bays on the east coast but also from Batok and Siam bays. Racha Yai Diving is also a popular activity on the island. There are some dive centres on the island where you can do your course or sign up for a dive if already qualified. To have an Easy Holiday we believe it is important to say what we think is good and what we think is not so good about Racha Yai. So this is what we think you should know. Not So Good - getting there can be a bit of an effort as there is no public ferry or transfer service, take away the stress and let us organise your transfer. Prices - Racha Yai is a tiny Island, everything except coconuts has to be brought in by boat, electricity has to be generated on the island so prices in the mini-mart can be quite high, restaurants and hotels are comparable to Patong on both price and quality. Shopping - There are a few mini-marts mostly attached to the resorts offering those things you forgot to bring at suitably exorbitant prices. Drinks and snacks can also be found in these mini markets. There are a limited number of restaurants on the island but no limit in scope, everything from basic Thai/European fare to gourmet seafood is available. For a different approach, how about an two day overnight private charter on the MV Sai Mai. Head out to the island at your own pace and visit the best parts of the island for snorkelling or diving, you can head inland anytime you like. Interested? Let us know... ! For my second trip to Phi Phi in just over a week I thought I really might have a problem with the weather, there had been rain and strong winds the day before and on arrival at Port Island Hopper on Koh Siray I was told there were 2 metre waves. Fortunately that didn't turn out to be the case and though there was a little bit of swell it was actually a fairly flat day. The day started with the pick up and transfer into and through Phuket town and over the short bridge on to Koh Siray on Phuket east coast and then a short drive to Port Island Hopper, the tour operators private jetty. When we arrived we were checked of on a list and given a coloured sticker indicating which tour we were on, and then were were shown where we could get fresh coffee. After all the mini-vans had arrived all those for the Phi Phi and Koh Kai tour were called over to map hanging on the wall and our guide explained the order of the day, as the waves were expected to get bigger as the day went on we would be going to Phi Phi Island first followed by a late lunch on Koh Yao before finishing the day on Koh Kai. Then off we trooped along the Plastic floating jetty, as there were almost 30 people on the tour we had been assigned to their largest boat which is able to take 45 people and has three large engine, this means we had plenty of space on the boat. The 40 minute ride was suddenly eventful when one of the customers fainted, the guide and one of the other guests, who it turns out is a trainee nurse, were very quickly on the spot and the problem was solved, after a few minutes checking whether he was OK to continue the tour we found out he had been ill for a few days and was dehydrated, so with a bottle of water and some fruit he declared himself fit to continue. Due to this incident the tour guide, very wisely, altered our itinerary slightly visiting Bamboo Island so that those that needed to could have a 45 minute rest on the beach. Bamboo island is a small island with a very wide beach, inland is an area of rain forest which has a small campsite and restaurant. Back out the beach a number of people were in the water snorkelling and raving about the numbers of fish. Fairly soon it was time to get back onto the speedboat and head to Mosquito Island, the boat moored just of the beach and the water here was very shallow and crystal clear. Back at the port before we left fish food had been offered for sale and many people were now using this to attract the Sergeant Majors and Rabbit fish, them one of the boat crew started throwing in banana to add to the chaos. all the time the boat's videographer was taking shots of everybody being mobbed by the fish. very little of the beach there but the trees around it were lined with the longtail macaques which give the beach it's name. It is said that the ancestors of these monkeys were taken to Phi Phi to work picking coconuts and that when tourism started and the coconut plantations closed the monkeys were released and have become wild, personally I'm not sure if this is true as normally short tailed macaques are used for coconut harvesting - but who knows? From Monkey beach we headed south over a stretch of open water to Phi Phi Lae, once we had reached the Island we started touring around the east side visiting Viking Cave, Pi Le Cove and Losamah bay before coming around the southern tip and back up the west side and into Maya bay. The boat pulled up onto Maya Beach, we were quite lucky, there were only 5 other boats on the beach - virtually empty compared to a high season day. Once on the beach we had an hour to relax, go swimming or explore. Last time I had been on Maya beach at was almost 10 years previously, at that time there was nothing on the island, now there is a visitors centre and a park rangers camp as well as a toilet block and a restaurant. Before the only way to the other side was a small hole in a rock wall that led through to Losamah bay, now a walkway has been built leading to a set of steps which you can climb onto from the water of Losamah bay, this way you can get onto the Island in all weather. After a bit of time lounging on the beach it was time to head back towards Phuket and stop at Koh Yao for lunch. It was another 40 minute ride and the sea was starting to get a little bit rougher, nothing too bad but a few people were making use of the free plastic bags. We pulled onto the empty beach on Koh Yao and headed to the private restaurant for our meal. The menu today was sweet and sour chicken, Green Curry, Tom yam gung, chicken and seafood kebabs and stir fried vegetables with rice and noodles. After having plenty of time to let the food go down and enjoy the view we headed to our last stop at Koh Kai Nok, by this time everybody was quite tired so most people just settled into a beach chair and relaxed, a few people ventured into the water for some more snorkelling. The guide told us this island was given it's name because from above it looks like a fried egg (the island is a large rock covered in rain forest surrounded by a wide beach). After about 30 minutes we reboarded the speedboat for the last time and headed back to Phuket, in about ten minutes we were back at the jetty and into the mini-vans for our ride home. This Phi Phi Speedboat trip is a fun and active day out getting close to all the sights, great in calm seas but only go in rough weather if you have a strong stomach.